What better way to start your dream Thai holiday than to board a boat bobbing gently on the sparkling waters of the Andaman Sea, ready to carry you to your exotic destination? 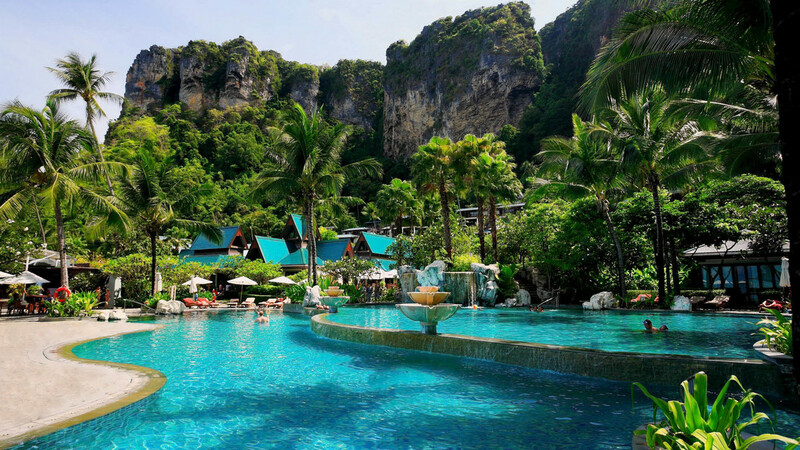 Centara Grand Beach Resort Krabi is one of South Western Thailand’s true gems, whether you’re an adventure lover, a sun worshipper, a foodie, a shopaholic or anything between. The resort is highly family-friendly, so you can rest assured that there will be plenty to entertain your group, whatever their ages and interests. The on-site kids’ club allows the youngsters in your party their own freedom in safety, leaving the grownups to relax and unwind. Whether that means enjoying traditional therapeutic massage in the calm of Spa Cenvaree, chilling out by the wonderful collection of outdoor pools, visiting the beach to view the stunning bay or grabbing a drink at the late night bar, the choice is all yours. 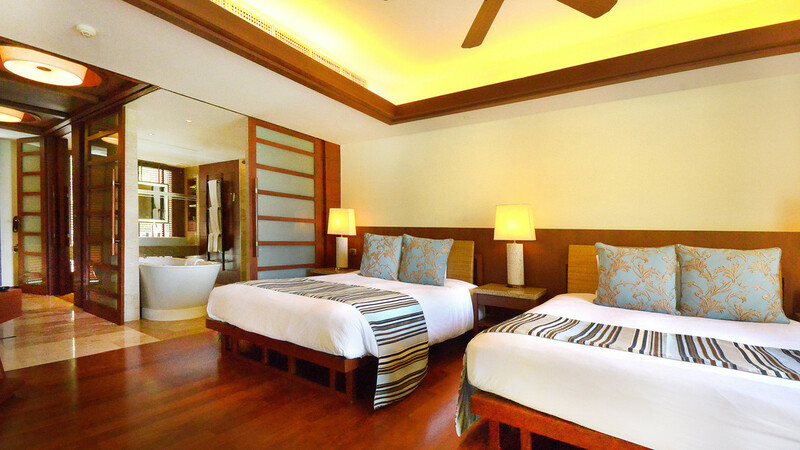 Centara Grand Beach Resort and Villas Krabi boasts four different eateries, each serving up a variety of delicious Thai cuisine along with other popular dishes - or, if you prefer to dine in the privacy of your luxurious room, this option is also available. 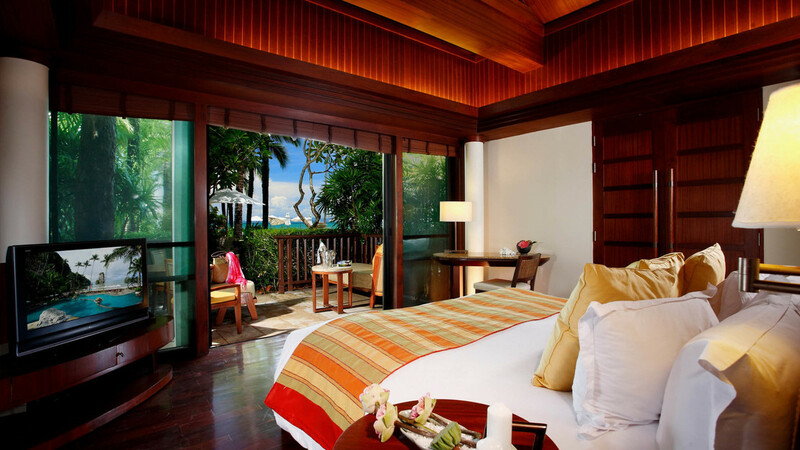 The rooms themselves are spacious and perfectly furnished, with the option of either a sea vista or a view of the lovely gardens in which the resort is set. If you’d like to explore, nearby Ao Nang is on hand via speedboat. The lovely beachfront town offers a colourful shopping experience along with the best seafood in the area. You could also try your hand at watersports! 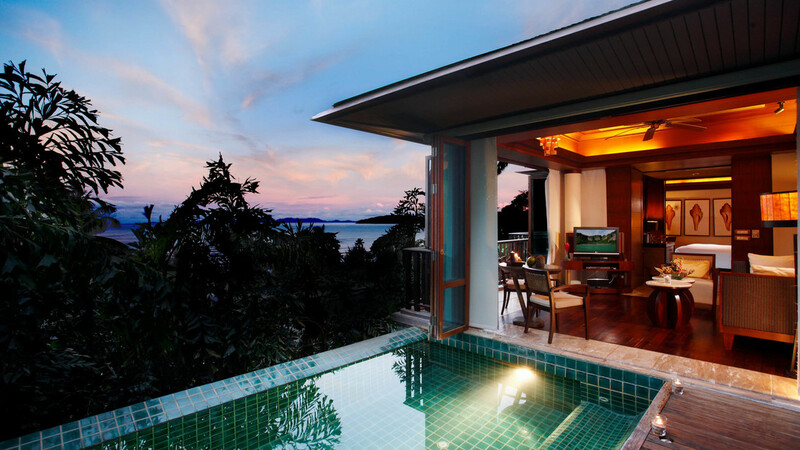 Seaside activities such as diving are also available in the bay upon which Centara Grand Beach Resort and Villas Krabi exclusively sits. 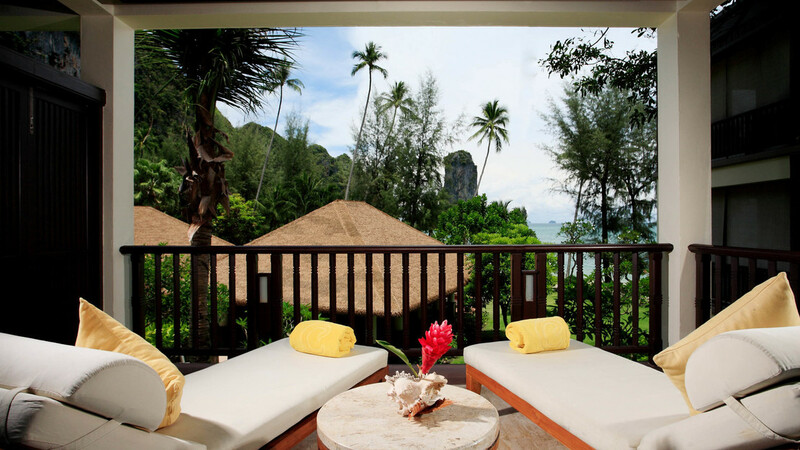 The peaceful beach is also the perfect place to lie back and take in the glorious Thai sunshine. This is true bliss, right on your doorstep. 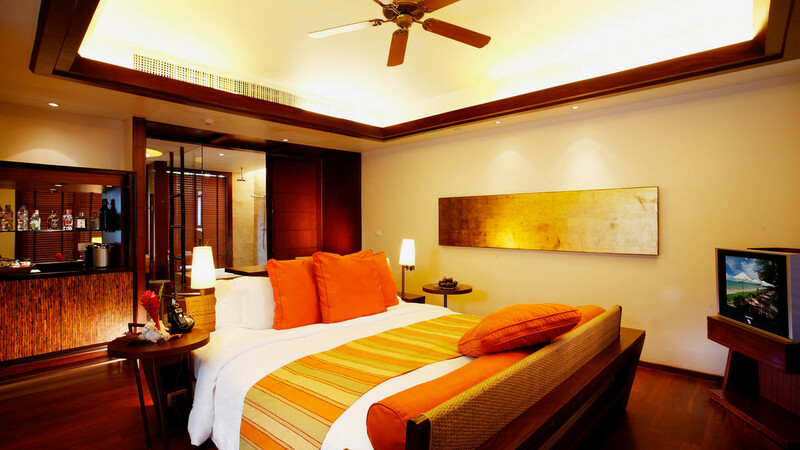 It takes no time at all to make your way from the comfort of your room into the heart of the resort. Explore the exquisite culinary experiences available, enjoy a drink with friends, embark on a shopping spree or make your way to the tour desk to book any number of outdoor activities, including hiking, visits to ancient sites or taking a boat trip. 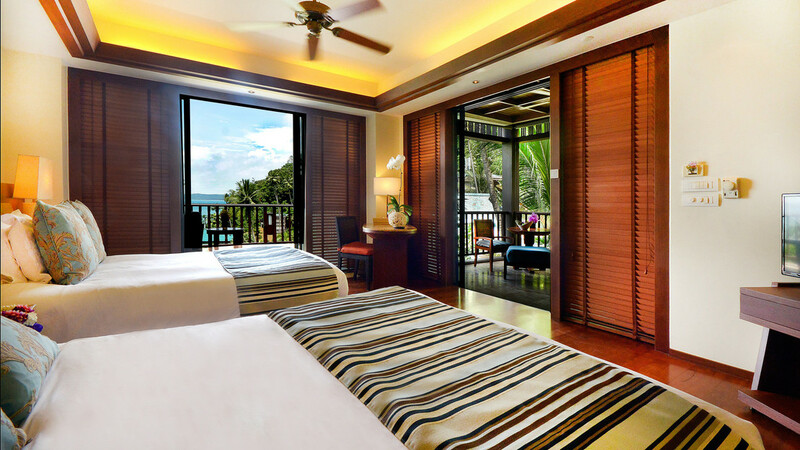 The voyage to Centara Grand Beach Resort Krabi takes a brief but beautiful fifteen minutes. The pier from which your boat will leave is at glorious Nopparat Thara, which lies only 40 minutes’ drive from Krabi International Airport. 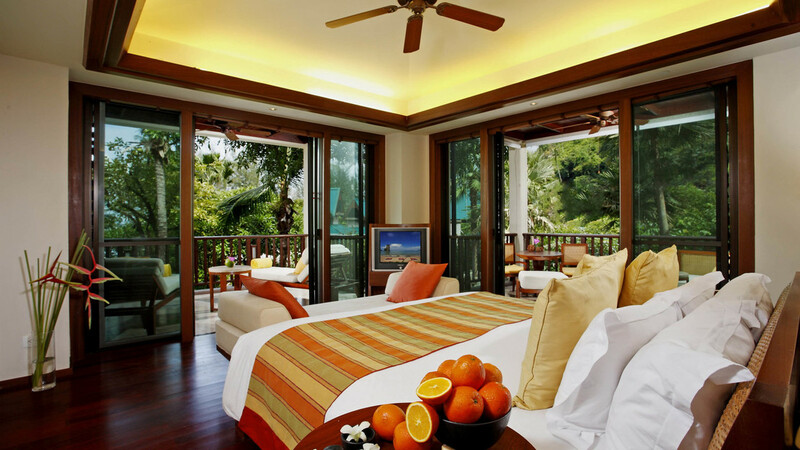 Relax in this peaceful haven over-looking the resort gardens and featuring an elegantly furnished private living and dining balcony. 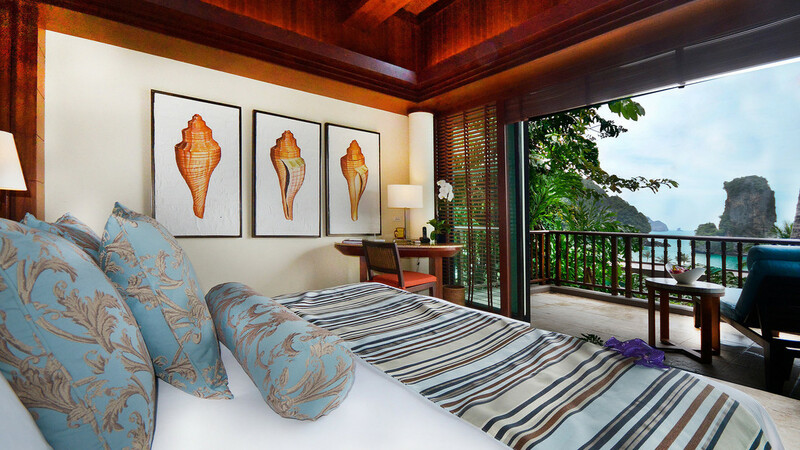 Enjoy the ultimate luxury with this fabulous separate bedroom space, decadently furnished balcony and private plunge pool. 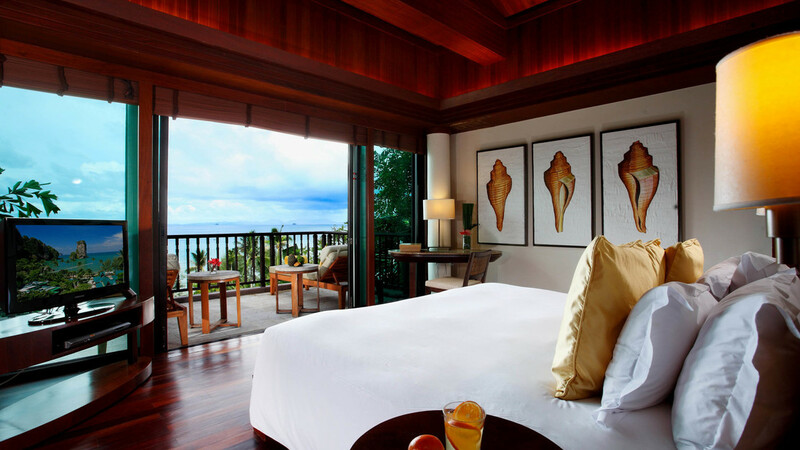 Guests in this category enjoy access to exclusive Club benefits and stunning ocean views. 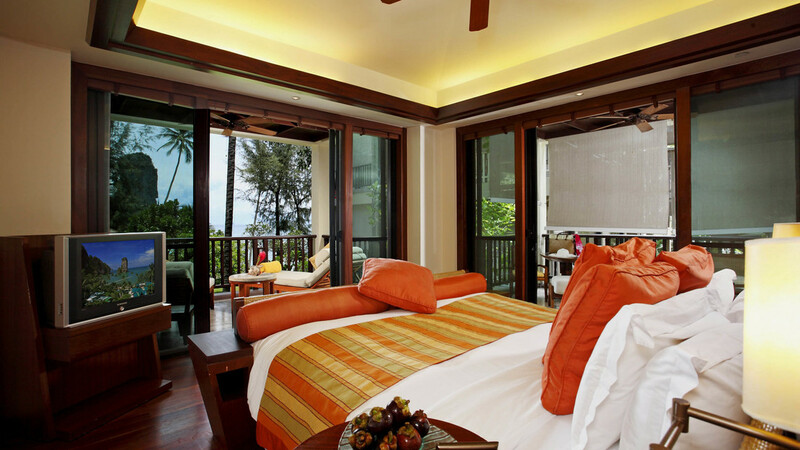 Guests are transported to a sanctuary of relaxation and serenity at Centara Grand Beach Resort and Villas Krabi. Choose to refresh and revitalize in the spa, join daily activities or simply escape from it all at this exceptional resort. 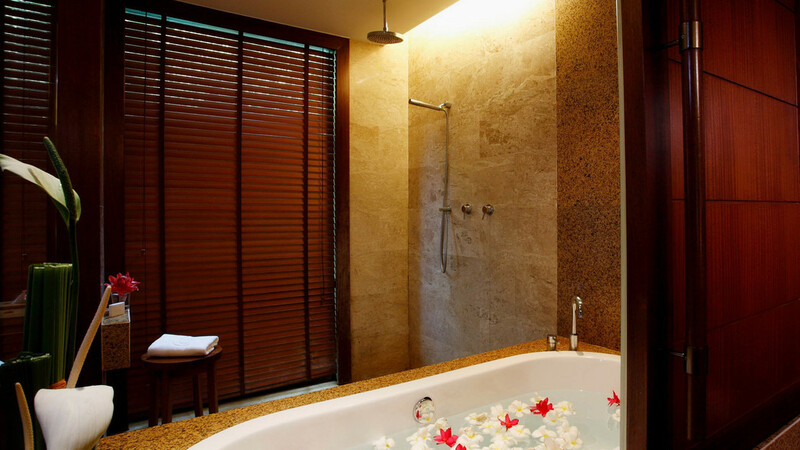 Completely unwind in sublime surroundings at Spa Cenvaree. Set amidst majestic natural gardens and surrounded by mountains in the sandy bay, Spa Cenvaree offers a sanctuary of tranquillity for total rejuvenation. Outdoor and indoor therapy rooms serve up a menu of massage therapies, facials and beauty treatments leaving you feeling fantastic inside and out. 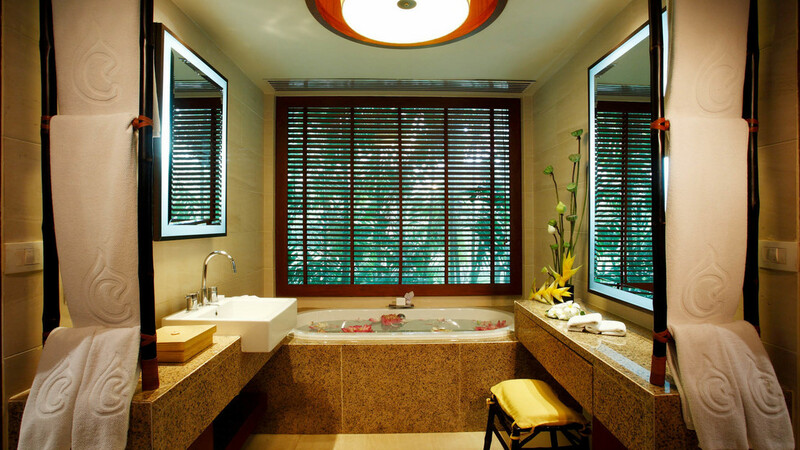 Be sure to combine a workout in the gymnasium with time in a private Jacuzzi for an all over body-treat. 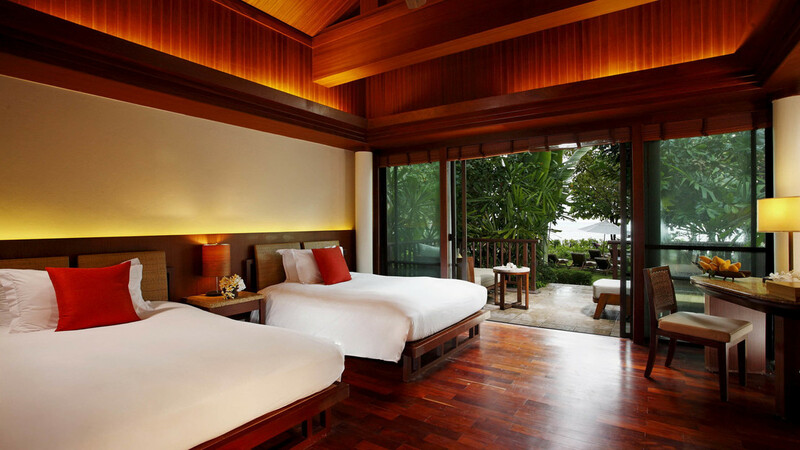 Authentic, local Thai cuisine alongside a delicious international menu can be found at this stylish all-day restaurant. Buffet breakfasts filled with a decadent array of options start the day, while evenings here are brought to life with live music entertainment. Home-style Thai cooking, served within a beautiful garden setting, with the ocean lapping gently just a stone’s throw away. A Japanese restaurant serving a combination of traditional and modern cuisine, including mouth-watering sushi, and live-cooking Teppanyaki. Feel the sand between your toes at On The Rocks beach bar and grill. Culinary delights served throughout the day in a relaxed atmosphere fulfil your every desire. 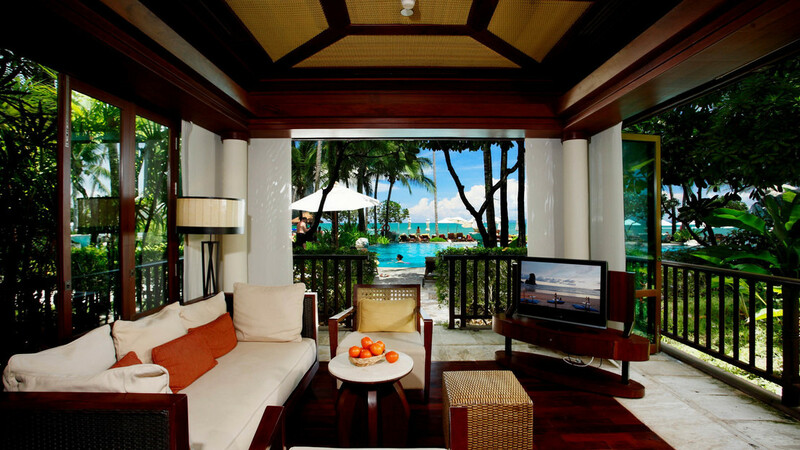 Listen to the sounds of the ocean while sipping a cocktail, nibble on a light snack or indulge in a full meal. What better way to end your day in paradise than by ordering a chilled nightcap in this unique aquarium bar? For night owls, Deep Blue Bar is open until the late hours.